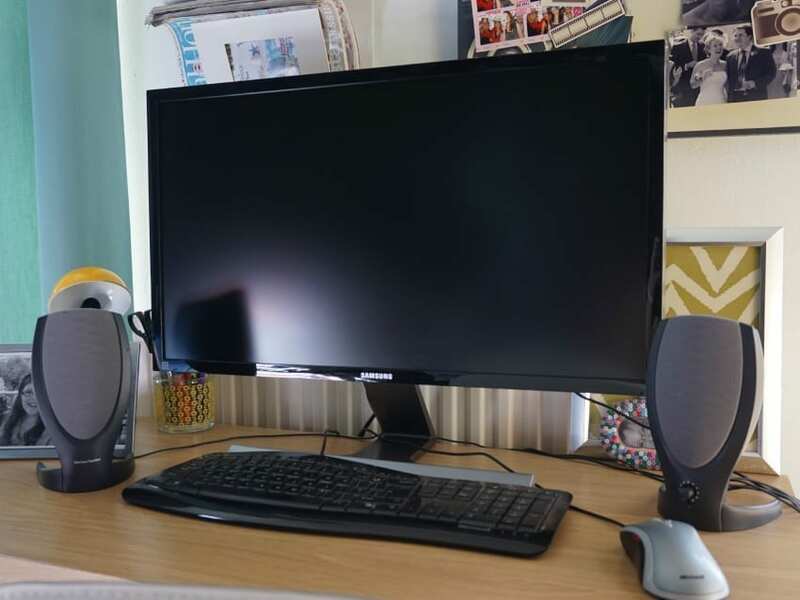 Recently, I was asked if I wanted to review the brand new Samsung 4k UHD590 Monitor, as it has just landed in the UK. 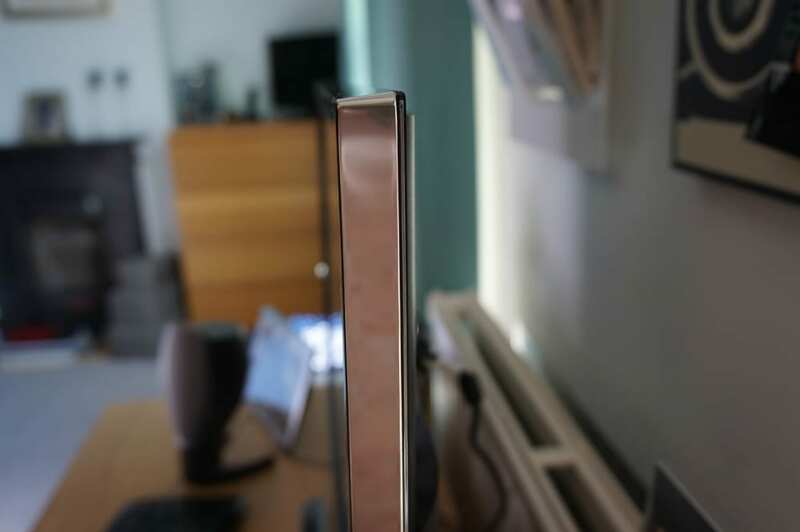 We’ve reviewed a few Samsung pieces on the blog before, such as this tablet and hard drive. If you’ve seen them, you’ll know we like our tech here at Love Chic Living. Stylish living isn’t always simply about cushions and rugs, having the right tech gadgets is also important in our home. So when we were asked to take a look at this top of the range monitor, we jumped at the chance. 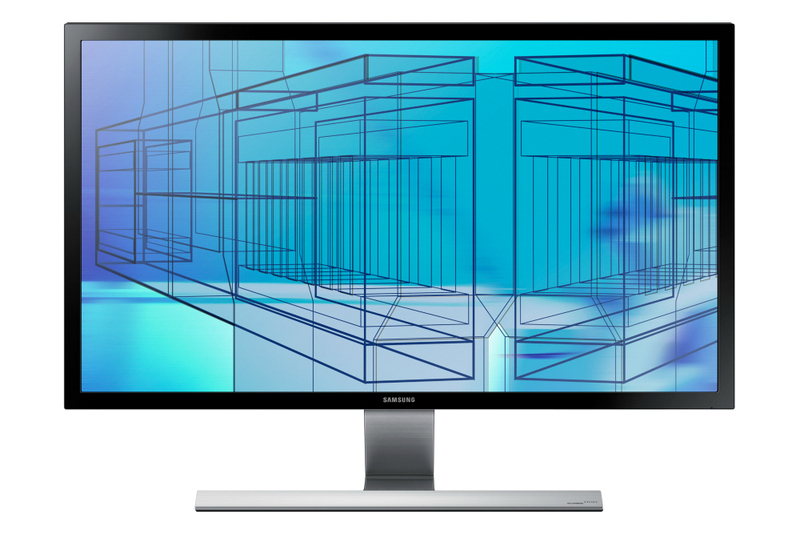 The Samsung UHD590 Monitor is a state of the art display screen that uses the same technology as their award-winning Ultra High Definition TV’s, providing four times the resolution of full HD displays. Apparently the monitor displays movies, games and Internet-streamed content perfectly and smoothly without any blurring or ghosting for an immersive experience. This is a 28″ screen, with 384 x 2160 resolution, compatible with Windows 8.1 and MAC. If you want the full technical blurb, do take a look at the official Samsung site for more information. The unit itself retails for £499 and is pretty new to the market, having only just landed in the UK. At this price point you want to be sure that you’re getting value for money so hopefully our thoughts will help you make up your mind. 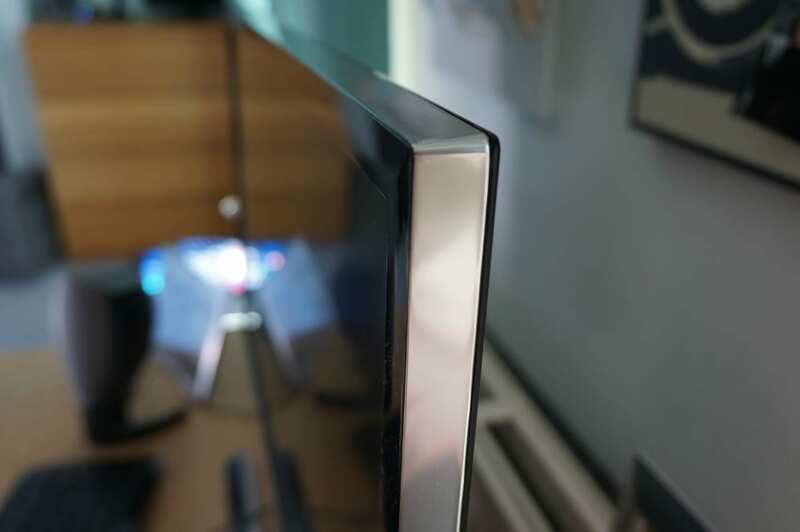 Well there’s no doubt that the Samsung UHD590 delivers on looks. It really has achieved a stunning minimalist look that sits beautifully in any home. It’s sleek, slim and very well thought through. You can see here, that sitting on my very slim desk suits it well, and I’m quite happy having it in my home. What excited us most about this screen, was the ability to achieve UHD. That’s like watching cinema quality in your own home! Stunning eh? But, what you must bear in mind is that most of the components that we would use with the monitor, such as the pc or dvd machine, don’t have this capability yet. They’re not able to feed 4k UHD through to the monitor, and we certainly don’t have anything that can do this here. However, the monitor does UHD up-scaling and converts low resolution content to create shaper images which is perfect for watching movies and playing games. We would certainly agree! We managed beautiful FHD from our Blu Ray player. It was truly stunning and a wonderful picture, and it’s exciting to know that this technology is on the way, and we’ll have the right monitor for it, when it arrives. Another thing to point out is, remember this isn’t a tv screen, and so you’ll need to connect it to a pair of speakers to get any sound. It’s just something to consider if you’re wanting to use it in multiples ways. While the children were watching their favourite YouTube Frozen videos from my laptop they, of course needed sound. To be honest, we’re not gamers and so haven’t connected it to any gaming devices. We didn’t think it could give the Wii graphics any boost particularly! The sizing is amazing and really enhances the imagery. We’ve used it in our bedroom, (my workdesk is here so that’s its natural home) and watched a few films, and we may well connect it to a spare HD Freeview box too. The 28″ screen size is perfect for that. For day to day working, I’d say it’s quite large on my desk and it’s not something you need to be too close to. You’ll need a good-sized desk, so you can sit further back and enjoy it at its best. Overall, even though we’ve not been able to achieve the full UHD experience, this is still a beautiful monitor that we’ll get plenty of use from. It’s at the cutting edge of technology, and I’m sure once films and games are available in 4k we’ll be right there. The size is perfect, the imagery stunning, and the versatility fantastic. I think you have to be seriously into your high-tech pieces to be considering this product, but I think those amongst you that are, won’t be disappointed. Disclosure: We were gifted the Samsung UHD590 for the purposes of this review, but all opinions and comments are my own. That looks like a nifty bit of kit. Thanks for this review. This screen looks amazing! A great piece of equipment. I may have to invest in one. Thanks for a great read! 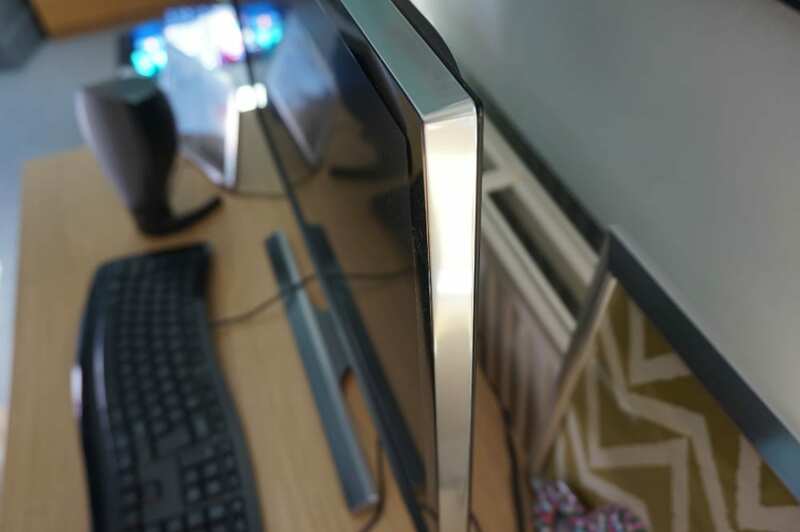 Hi there, thanks for the tipps, what is better for gaming, a TN Monitor or a IPS one? Samsung note 7 just rocks. I’m still using mine…and I’m just cool with it! Same Pc set as mine, really professional hope you are good!